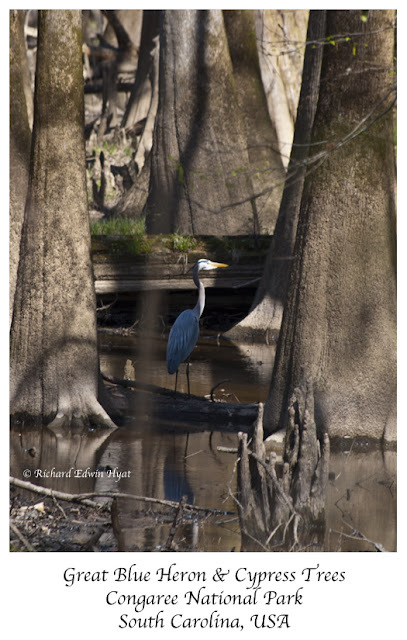 Jean spotted a Great Blue Heron hunting among the giant Cypress trees in Congaree. I put on my 55 to 200 zoom lens and tried to sneak up on the wary great blue. When I would take a step it would take a step. In order to get the shot I had to anticipate where it would be next. Hiding behind a Cypress tree, I was able to get this photo.